Western section of Queens, NY. Huge area, covered by two train tracks. N/W on one, and E/M/R on another. I explored areas around 36th Ave (N/W) Station, and Steinway St (E/M/R) station. High density of very good bars and restaurants. Mama’s Empanadas: small bites and great mango milk shake (batidos con leche). Copacabana: Brazilian grilled meats, sold by the weight for eating-in or take-out. 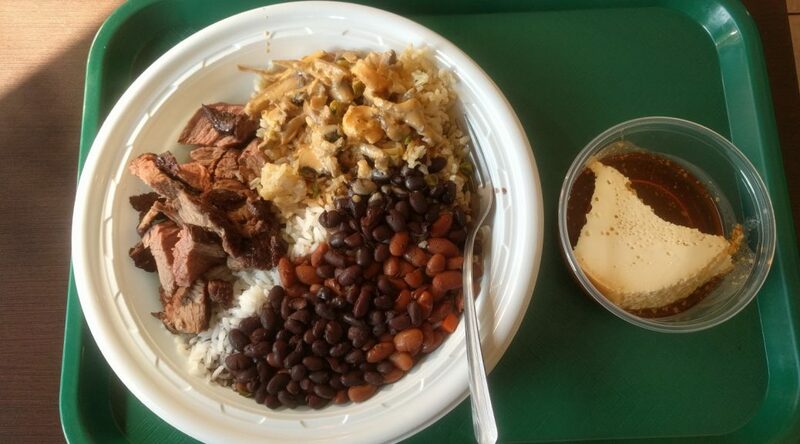 Excellent sirloin steak, rice, beans, flan. Astoria Seafood: Great seafood, but very slow and confusing self-service, and messy place. But great grilled/broiled seafood.